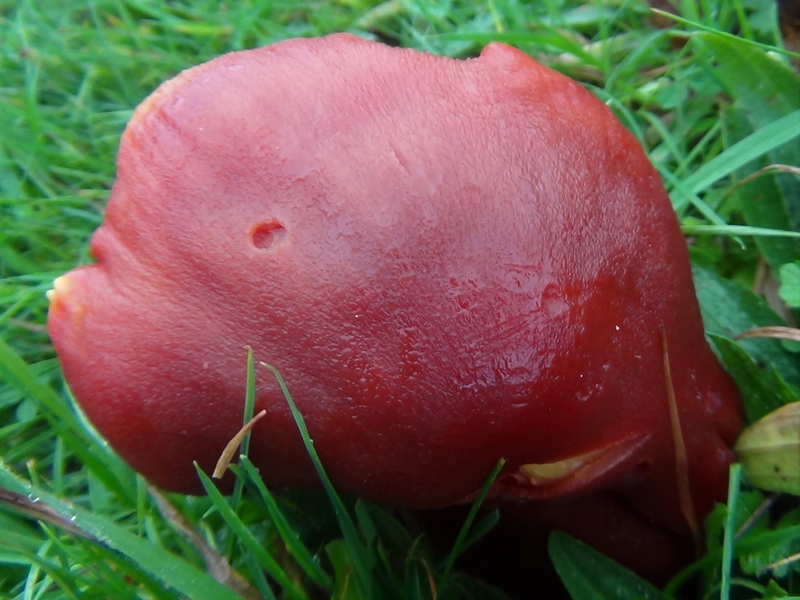 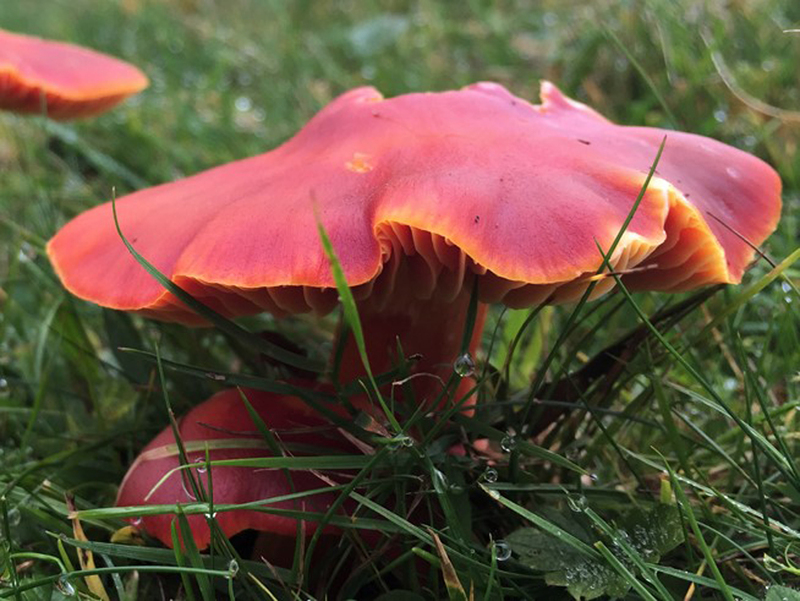 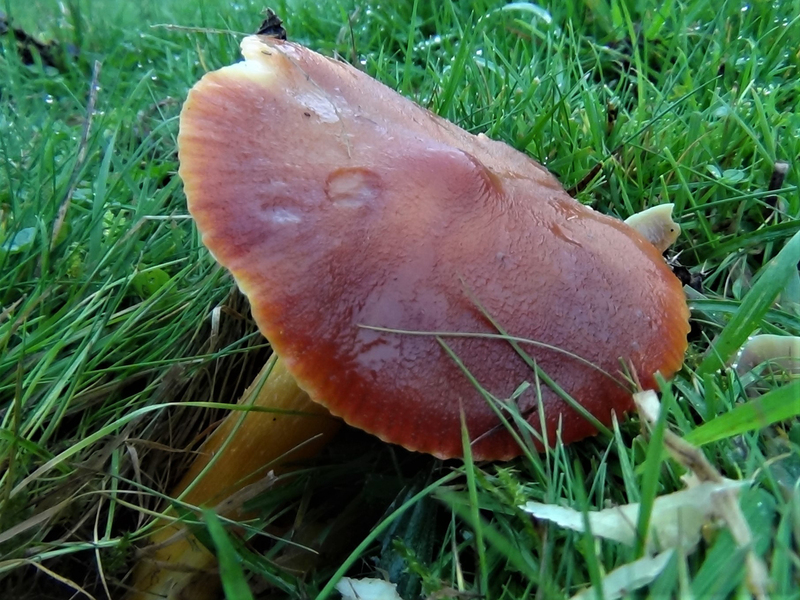 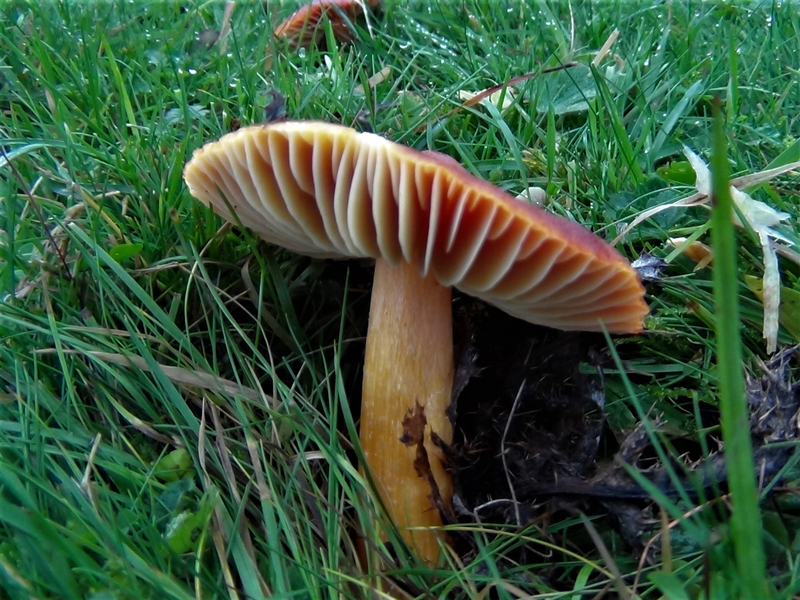 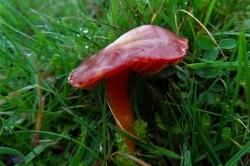 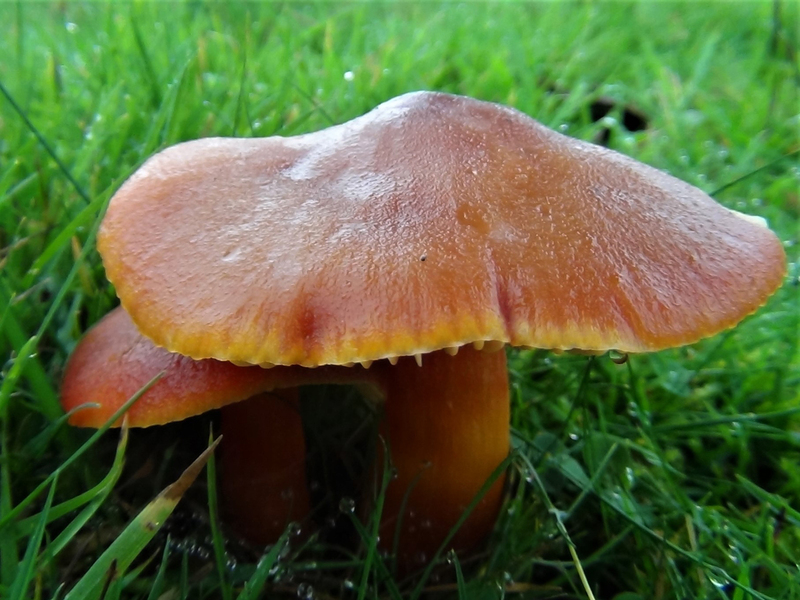 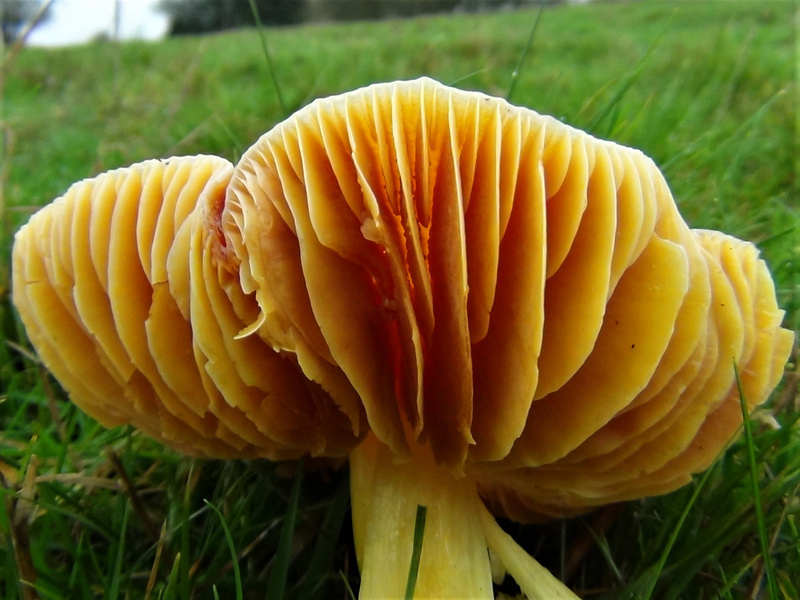 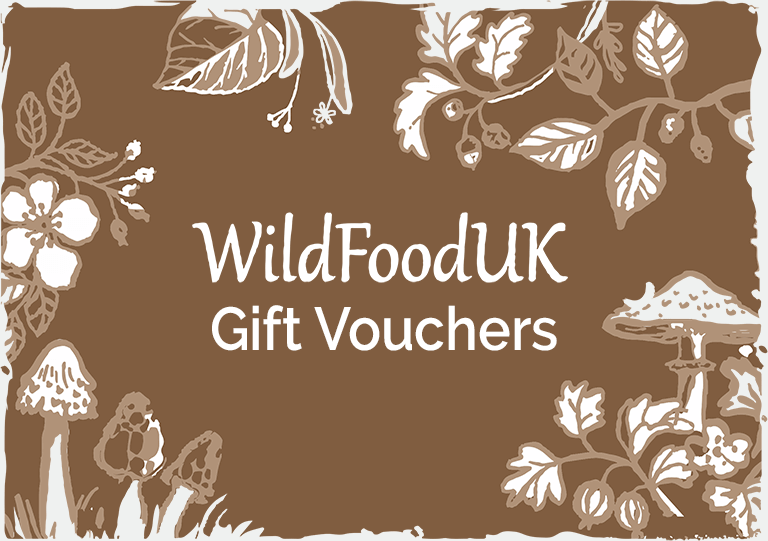 One of the larger Waxcaps, the Crimson Waxcap is less common than the Scarlet Waxcap but can grow in large numbers in the right conditions which means fields, meadows and heaths that have been left free of chemicals, fertilisers or ploughing. There have been reports from North America that a few people have suffered gastric upsets from eating these mushrooms but no reports from Europe yet. 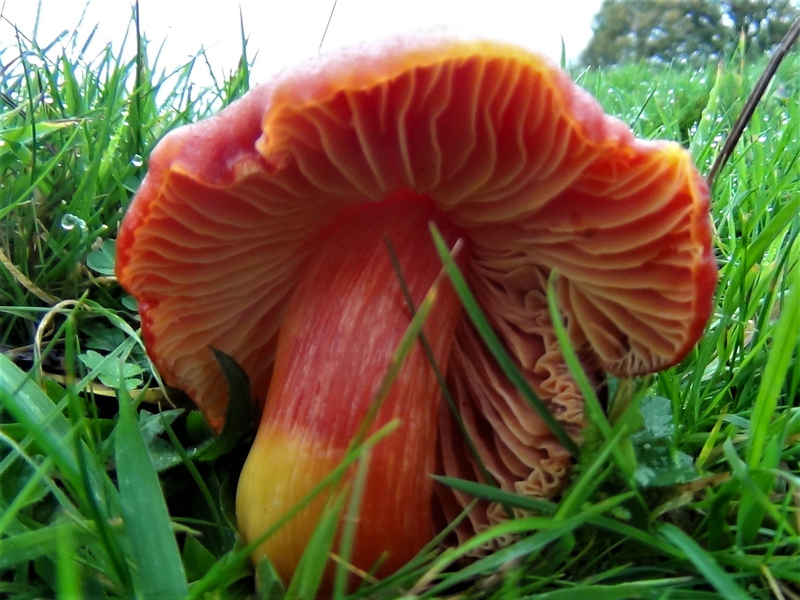 Being fairly rare this beautiful mushroom, although edible, is better to admire and photograph than to pick for any reason. 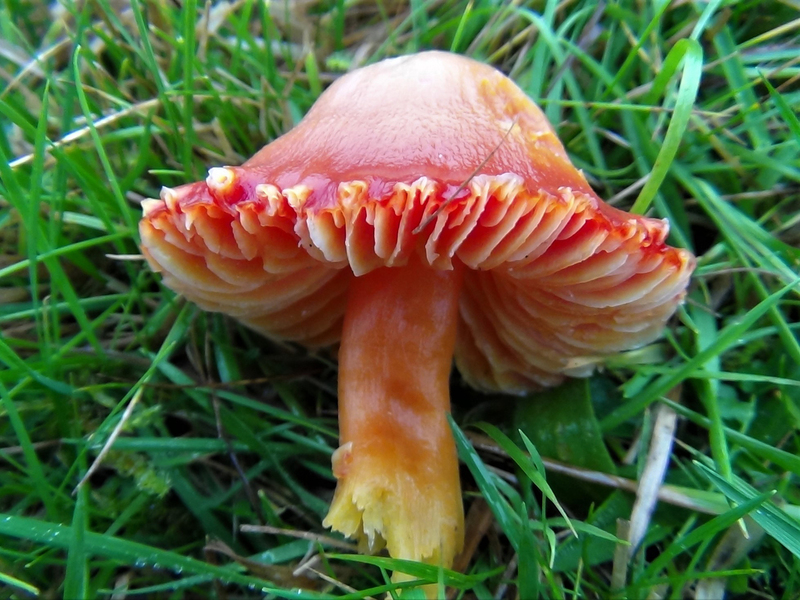 Deep red but fading to yellow or paler from the center of the cap. 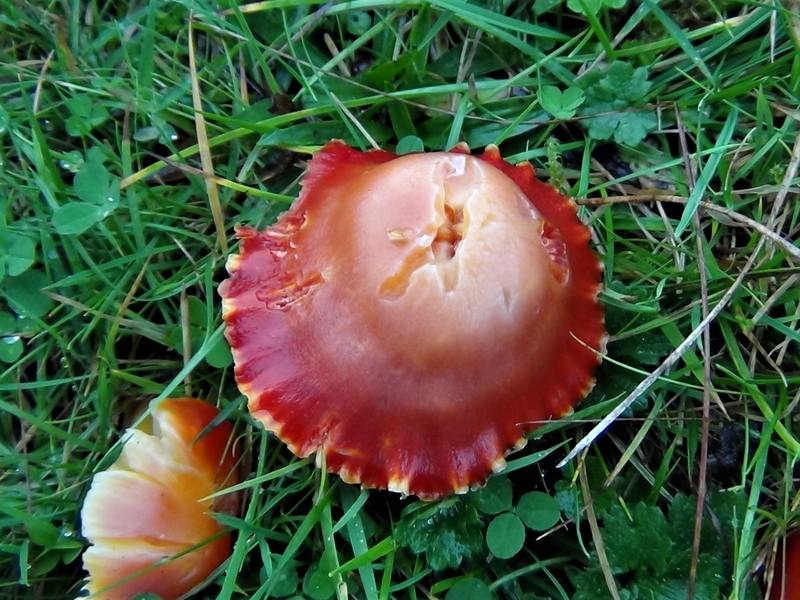 The cap starts conical/bell shaped but will open out to flat with upturned edges in older specimens. 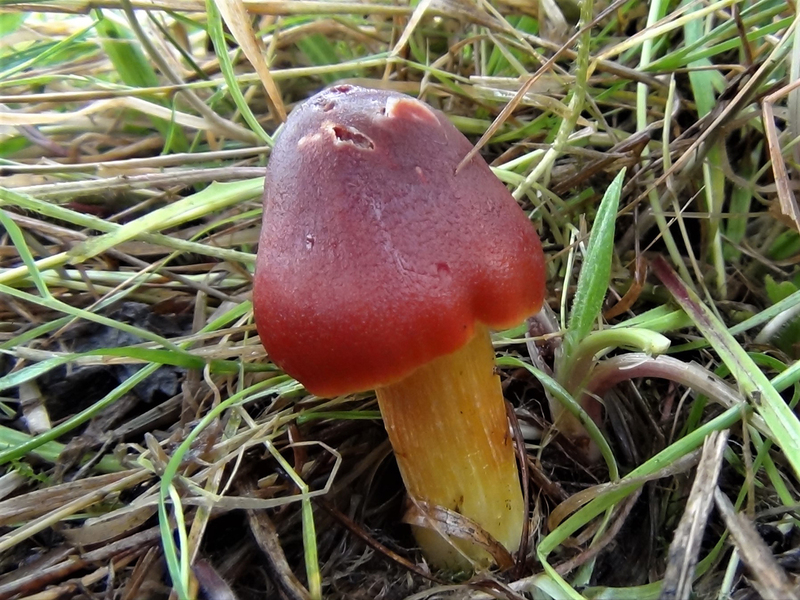 Fairly widely spaced, starting yellow but turning red with age. 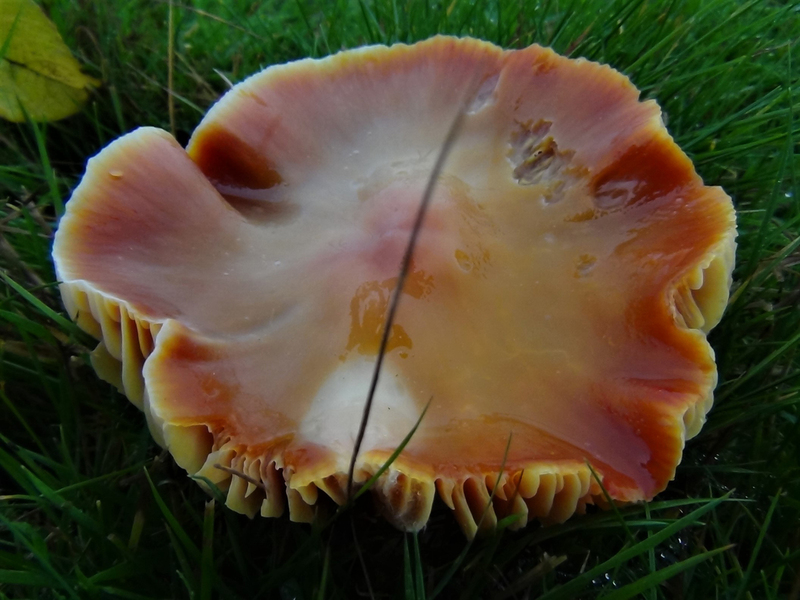 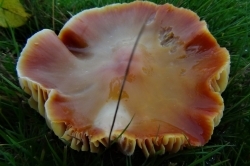 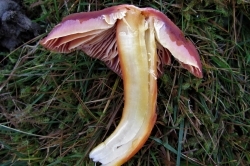 The gills can be free of the stem or adnexed (run down the stem). 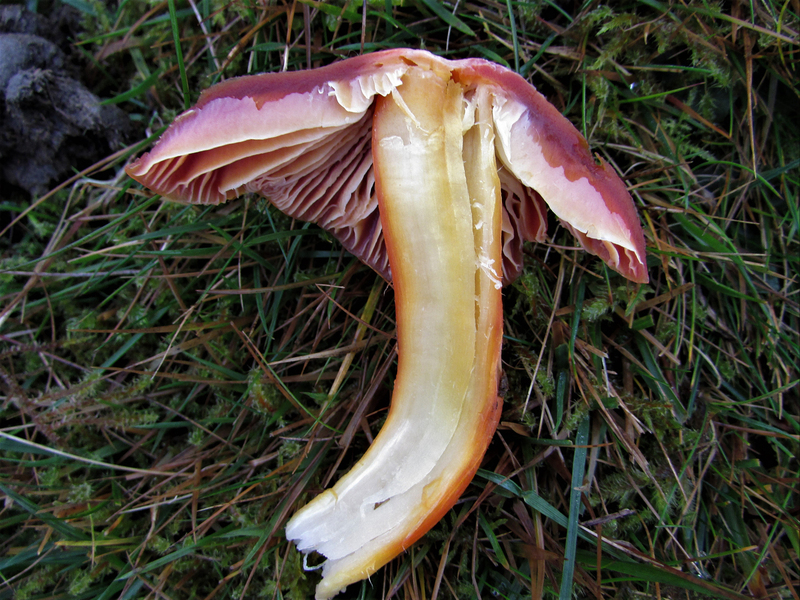 Yellow turning to red further up the stem but white and slightly rooting at the base.The stem is quite stout and fibrous. 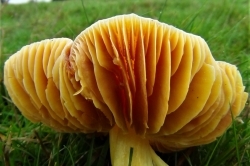 Mainly white or concolourous with the outside of the mushroom towards the edges. 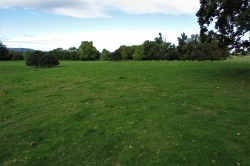 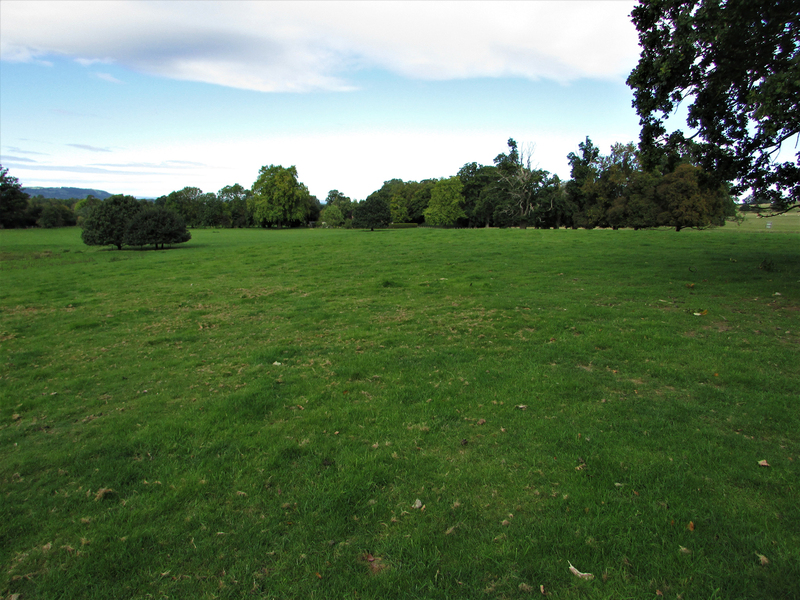 Fields and heaths with short grass that have been left natural and not fertilised or ploughed for a long time. 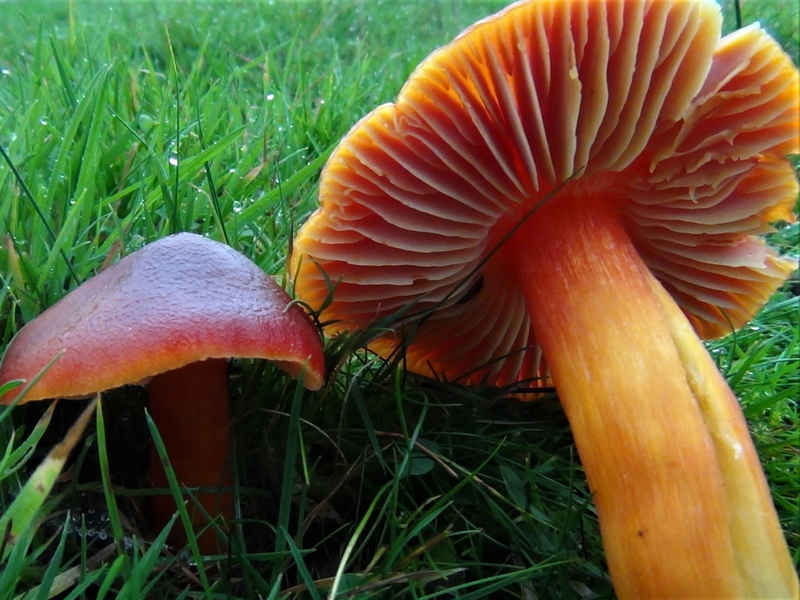 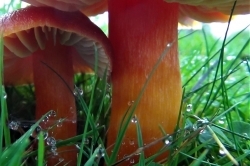 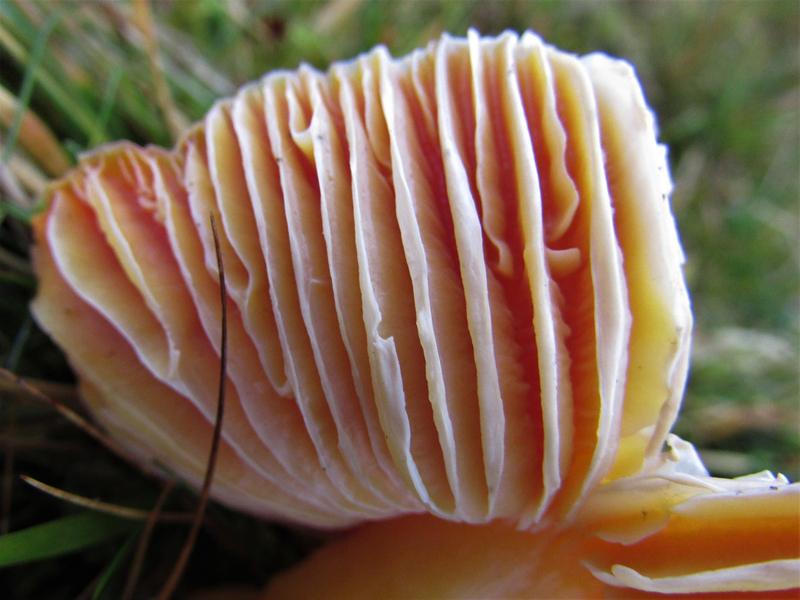 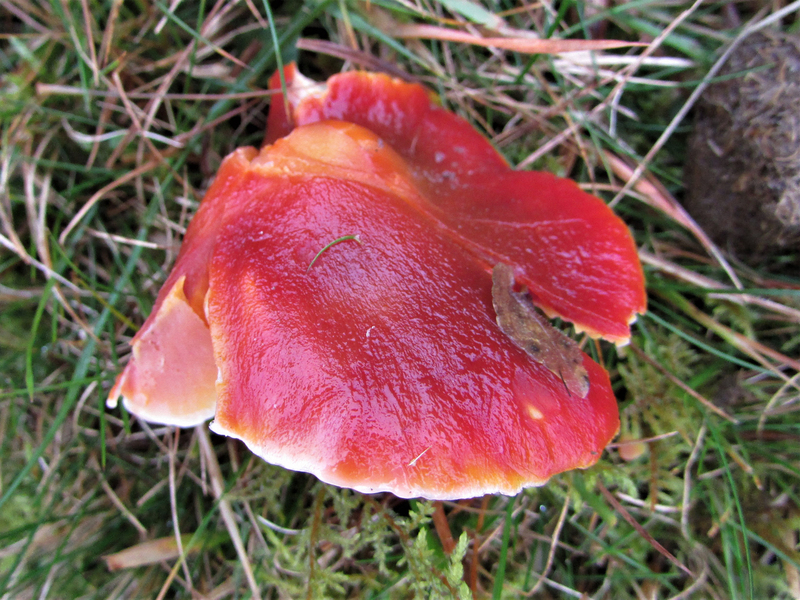 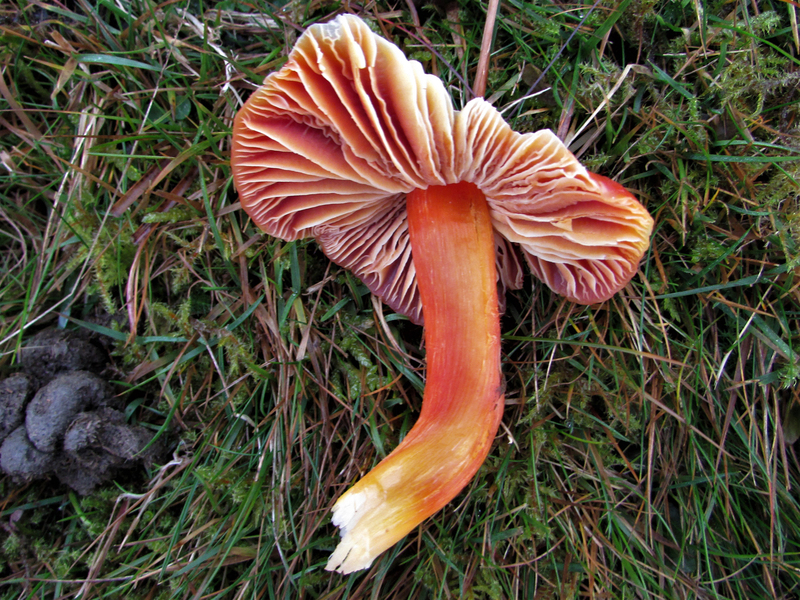 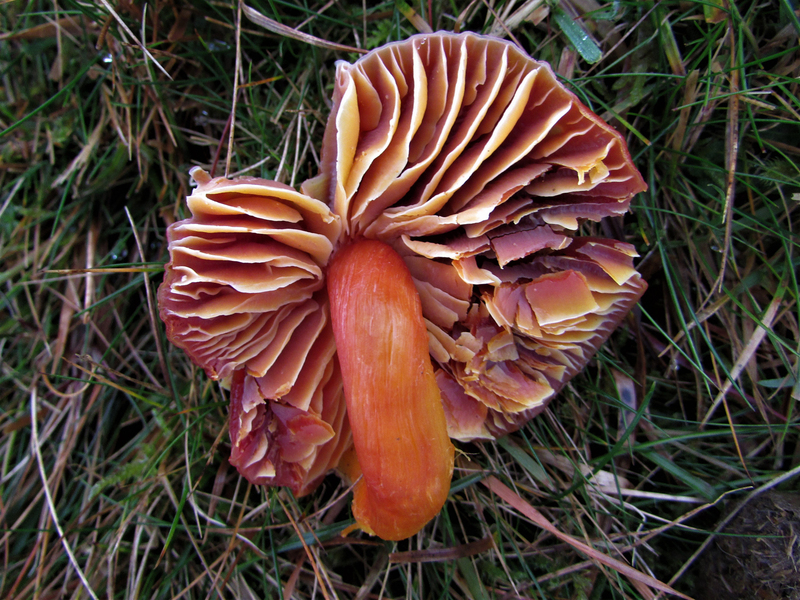 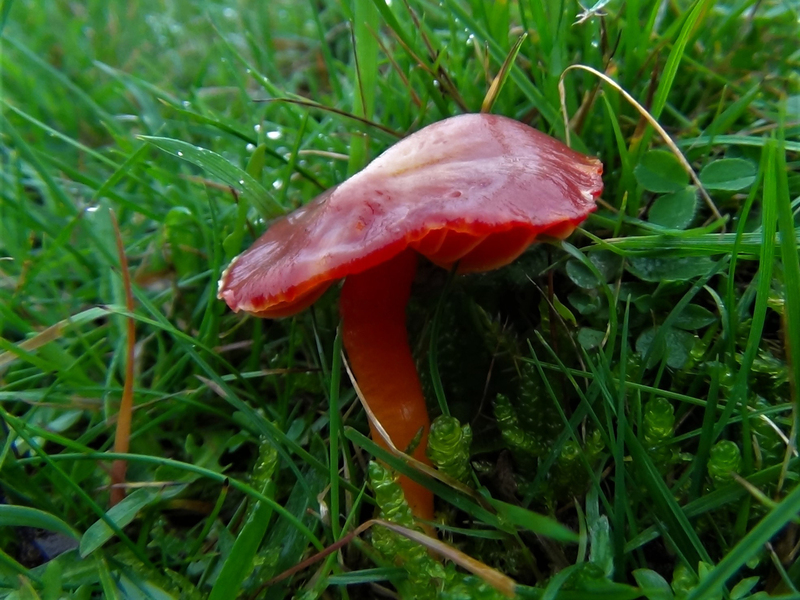 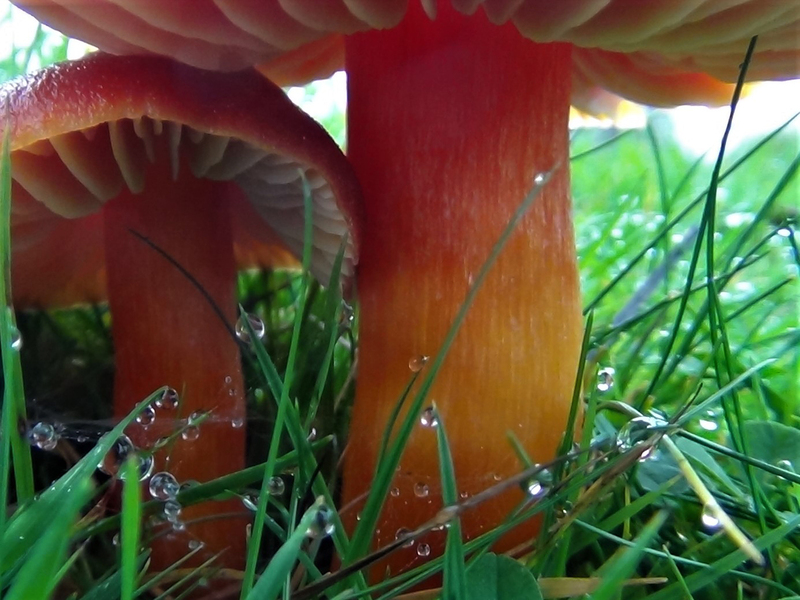 The Scarlet Waxcap, Hygrocybe coccinea, pictured, or the Splendid Waxcap, Hygrocybe splendidissima. 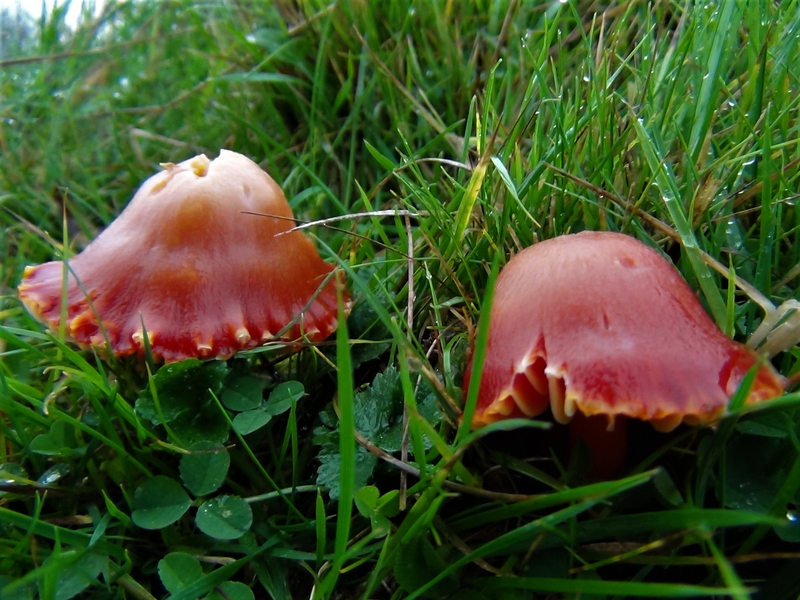 The Scarlet Wax cap is smaller and has a thin stem and red flesh, the Splendid Waxcap has an irregular, wavy, flattened stem.